The Ultimate start to your Aussie adventure! Explore Sydney, Bondi Beach, & The Blue Mountains! Looking for an epic week down under? Welcome to Sydney! We’ll introduce you to this amazing city highlighting iconic destinations; from Sydney Opera House and Sydney Harbour Bridge to Bondi Beach and the Blue Mountains, we’ll show you all of the best spots! 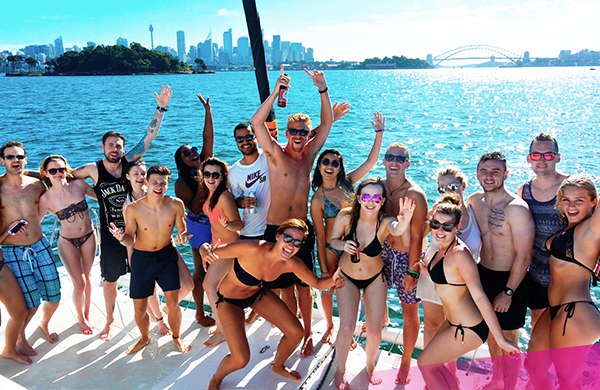 We’ll explore the city on our Sydney city walk, cruise Sydney harbour on our private catamaran, surf some waves in sunny Bondi, escape to the bush for a day & party the night away! And even better, you’ll be doing this all with a group of new mates! 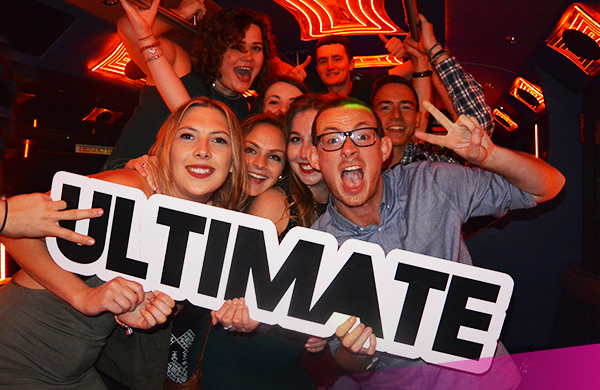 Ultimate Sydney is the perfect way to kick-start your time in Australia! 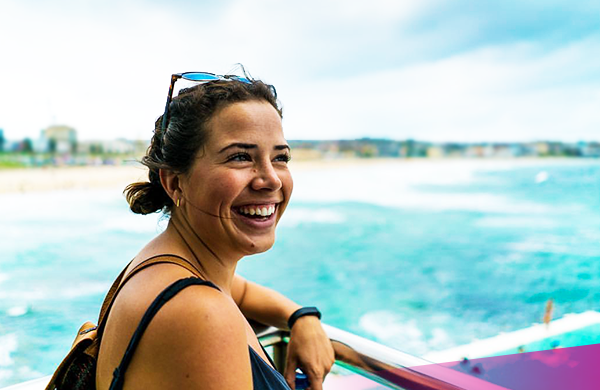 Visit Sydney Opera House on our guided city walk, cruise around Sydney Harbour on our private catamaran, learn to surf on Bondi beach, explore the Blue Mountains & party at Sydney’s best backpacker bars! At ULTIMATE we don’t believe in hidden costs. This trip includes all accommodation, activities as listed, transportation during the tour and even some meals & drinks along the way! Welcome to Australia! We’ll organise your airport shuttle to take you directly to your accommodation so you don’t have to worry about a thing. 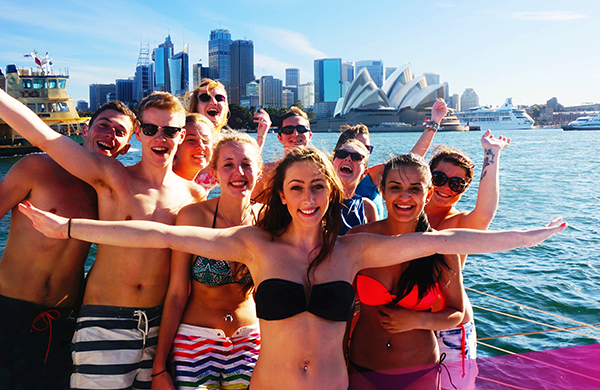 Settle into your hostel and get ready for a week of fun in Sydney! 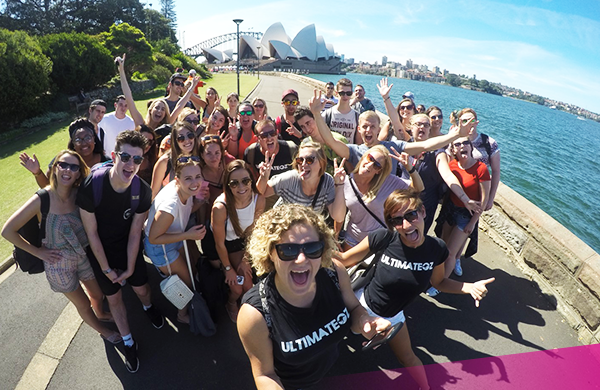 Today you’ll join us at ULTIMATE HQ where you’ll receive a fun orientation before joining our guided city walk with your group – the perfect way to kick off your time in Oz! Explore the Botanical Gardens, eat fish and chips in Darling Harbour and get a selfie in front of Sydney Opera House! Tonight we visit our favourite party bar for our welcome dinner. Day 2: We’re on a Boat! Today, we explore Sydney Harbour on our very own private UltimateOz Catamaran! 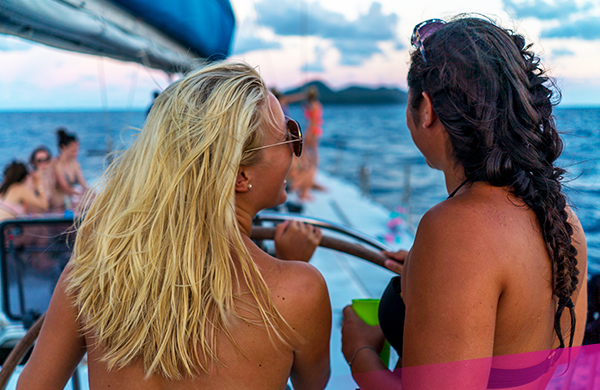 Spend the day cruising around, swimming, chilling by hidden bays and enjoy your first Aussie BBQ on deck. This is the life! 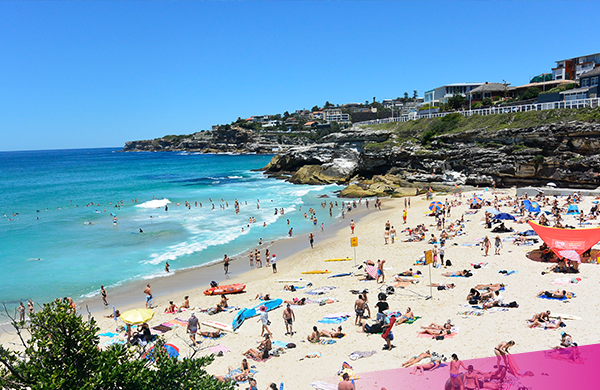 It’s time to head to the famous Bondi Beach! 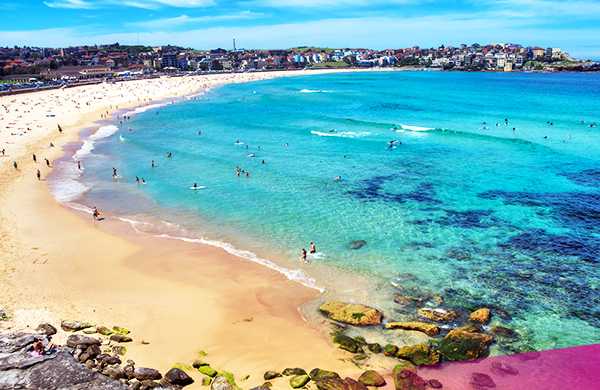 Chill on the beach, watch the local surfers and soak up the laid-back Bondi vibe! In the afternoon enjoy some wine & cheese and an after party at one of Bondi’s best local bars. *Note days 3-5 in Bondi are unguided, however, return transport is included, all activities are professionally staffed & full support is available. Day 4: Life’s a Beach! What better way to start your morning than with some yoga on the rooftop overlooking Bondi Beach!? The rest of the day is yours to spend as you wish. 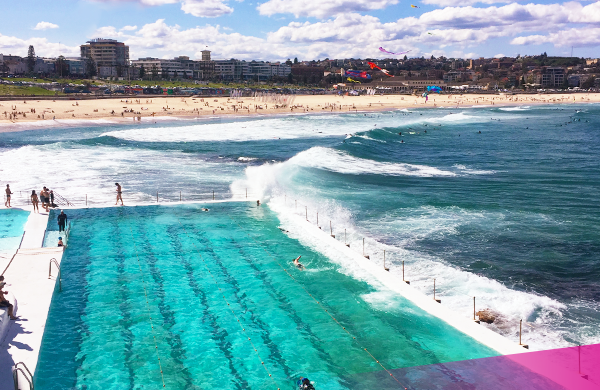 Visit Bondi’s unique local shops, swim at the iconic Icebergs Pools or relax on the beach. 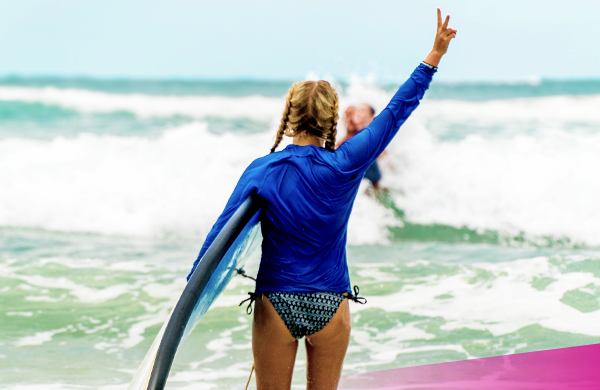 Now you’ve settled in life down under, it’s time to live like a true Aussie and learn how to surf! Today, we provide a 2 hour beginner surf lesson led by professional and fun instructors, located right on Bondi Beach. After a morning of riding the waves, you’ll head back to the city for the weekend. You can’t come to Sydney and not visit the Blue Mountains! 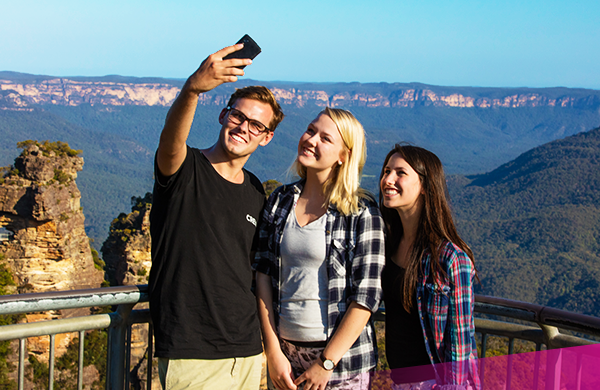 This morning, you’ll escape the city and travel to the Blue Mountains National Park, a short drive from Sydney. Enjoy hiking, visit waterfalls, spot wild kangaroos and take in some of the Bluey’s spectacular views! Tonight we party! We’ll take you on a Sydney pub crawl stopping off at some of the best backpacker bars in the city! Check out some of Australia’s most beautiful coastline on our cliff-top coastal walk starting in Coogee and ending in Bondi checking out six (beautiful!) beaches along the way! It’s the perfect way to unwind after an awesome first week in Sydney! Day 8: Sydney & Beyond! Whatever your plans for the rest of your time in Oz, the Ultimate travel crew will be on hand to help, offering ongoing support, advice and travel discounts. Check out our 5 week Ultimate East Coast: City to Reef package!